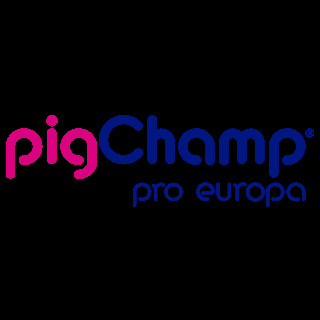 On Thursday February 26, PigCHAMP Pro Europa held its 15th anniversary meeting in Segovia (Spain) hosting more than 160 people. This meeting is the first event of the two that the company will hold along this year. On Thursday February 26, PigCHAMP Pro Europa held its 15th anniversary meeting in Segovia (Spain) hosting more than 160 people. This meeting is the first event of the two that the company will hold along this year. The event showed an interesting program opened by Mar Sancho, Director of The Economics Development Agency of Castilla y León. The first two lectures were about innovation, research and development in Spain and were conducted by Federico Baeza (COTEC Foundation) and Clemente López (Sub- General Manager for Research in MINECO) respectively. The next lecture was by Miguel García, veterinary specialist in Iberian swine, who explained how the use of new technologies in farms of their customers has improved his work. Then, Miguel Tejedor, head of the Swine Research and Education Farm, explained how a day on a commercial farm is, and at the same time, has to meet with the standards of a research center. Finally, before lunch, Carlos Piñeiro, Director of PigCHAMP Pro Europa, presented the history of the company, current and upcoming activities. After lunch, Professor Yuzo Koketsu, from The Meiji University in Japan presented how to deal with data management in large swine databases and some papers showing the value of hidden information on decision-taking process. He presented 5 studies being two of them carried out in collaboration with PigCHAMP Pro Europa. Then it was the turn of Gulalai Ismail, a young Pakistani woman, president and founder of “Aware Girls”. She showed a different and heart-touching lecture. Gulalai talked about the situation that girls and women live in Pakistan and how she, through her foundation, tries to change this terrible reality. Reconnecting with the swine sector, guests enjoyed the presentation of Guillem Burset, who explained the situation of the pig meat market in the world over the years. Finally, Íñigo Sáez de Urturi, known as “The Wizard of Communication”, made a dynamic and fun intervention that didn´t leave anyone indifferent. Besides the above, there were two unscheduled surprises. The first was conducted by Rafael Pallás who made a fun exhibition of PigCHAMP´s misunderstood names that our staff collected during these. And finally a fun video was projected. It was prepared by the workers of the company to honor Carlos Piñeiro. In short, how to applied research and innovative services was presented and can be transformed in a good business developed globally.